Education Secretary Betsy DeVos is facing a backlash from her comment that historically black colleges and universities are real pioneers when it comes to school choice. 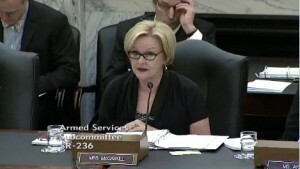 Senator Claire McCaskill (D-Missouri) says she’s appalled by the statement. DeVos wants to allow public education funding to follow students to the schools or services that best fit their needs. DeVos later said historically black schools remain at the forefront of opening doors that had previously been closed to many students. In a historic vote of 50 to 50 with Vice President Pence breaking a deadlock, the U.S. Senate confirmed last month DeVos as education secretary. It’s the first time a vice president has broken a tie on a presidential cabinet nomination.